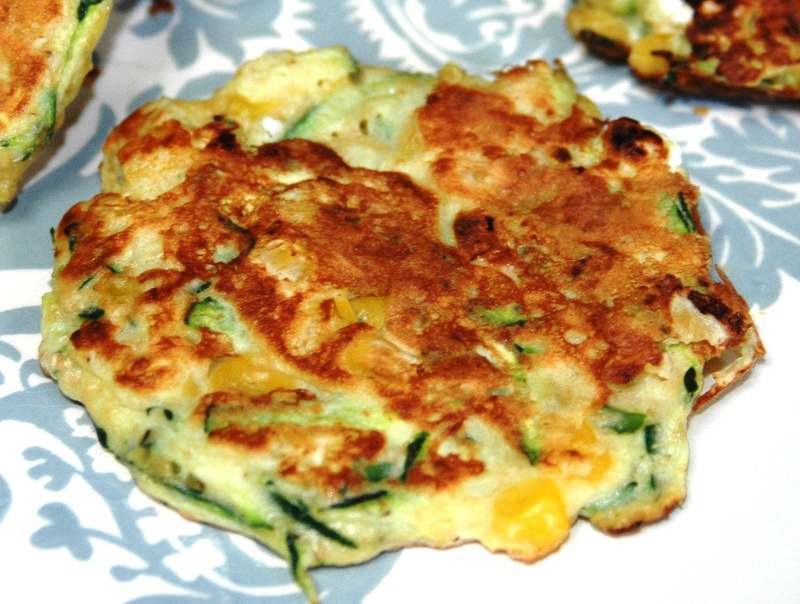 Initially inspired by a lovely looking recipe I saw in the March issue of Notebook for zucchini, pea and haloumi fritters while out and about. Only that when I got home I didn’t have any peas (but I had corn) or haloumi (but I had fetta), thus these were born. I served them with a delicious homemade mango chutney, however tomato chutney, natural yoghurt or tzatziki would also go well with them. They are definitely a delicious snack, but they would also make a great light lunch served with a green salad. 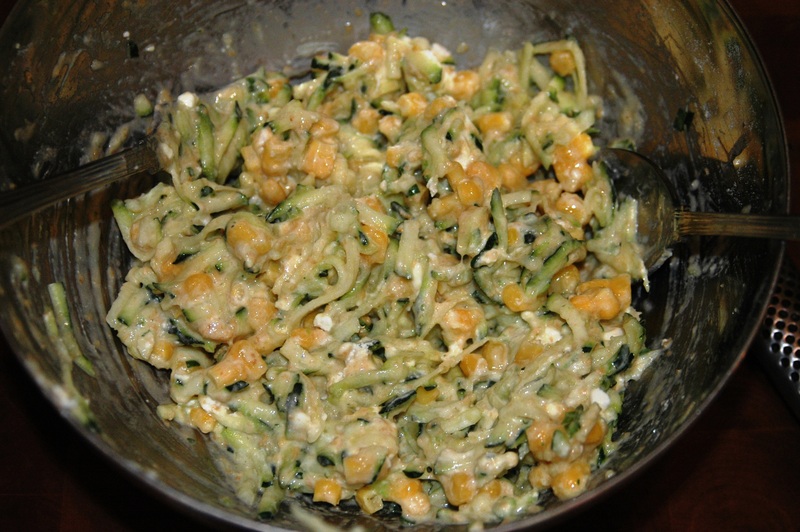 Place the zucchini, corn, flour, spring onion, fetta, stock powder and pepper in a large bowl. Add the egg and stir until well combined. Heat a very small amount of oil (as little as 1/2 teaspoon if possible) in a non-stick frying pan over medium heat. Spoon large tablespoonfuls of mixture around the pan, allowing a small amount of room for spreading. 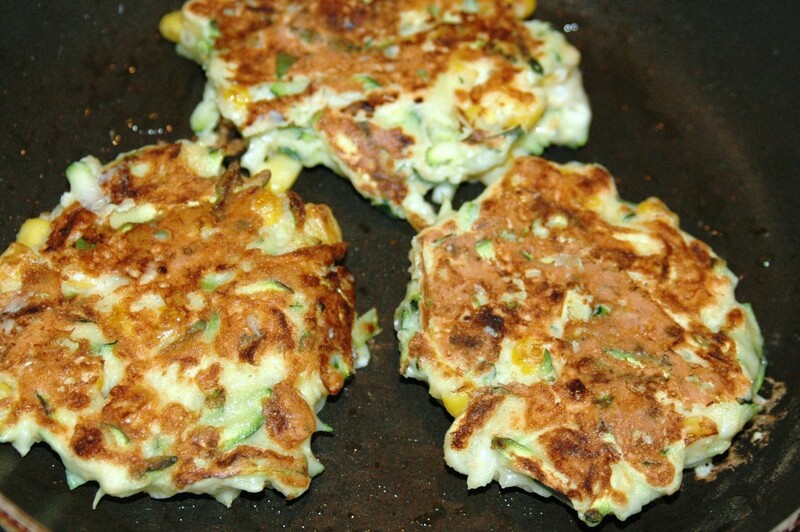 Cook for 3-4 minutes or until fritters are golden. Use a spatula to turn and cook the other side for a further 2-3 minutes. 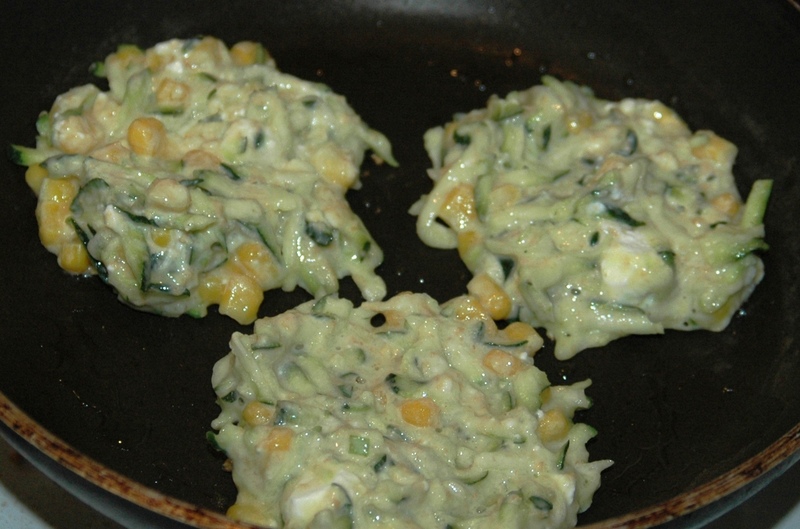 To test if the fritters are cooked through, gently press the middle of each fritter to see if it is firm. When cooked, transfer to a plate lined with paper towel. Repeat with remaining mixture. 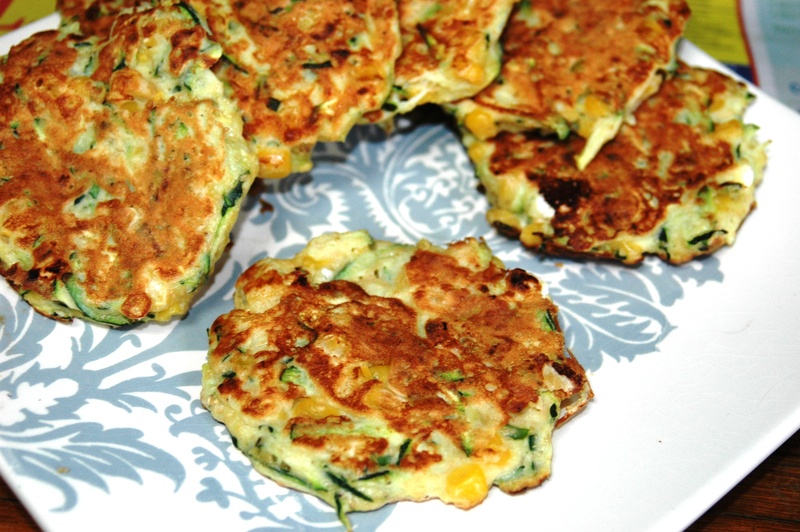 Serve immediately, while fritters are still warm with yoghurt or chutney if desired. Each fritter, cooked with minimal oil (and not including condiments) contains a tiny 60 calories 🙂 WOW!